When you are listening to a classical music, do you listen passively, or are vivid images produced by the notes permeating your imagination? 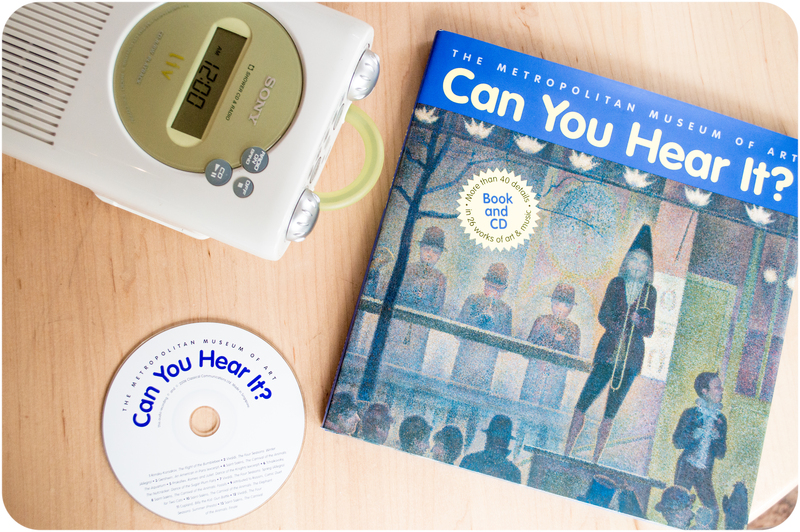 "Can You Hear It?" book (buy here) offers great examples of pictorial classical music filled with unforgettable images, which are matched to masterpieces from The Metropolitan Museum of Art. 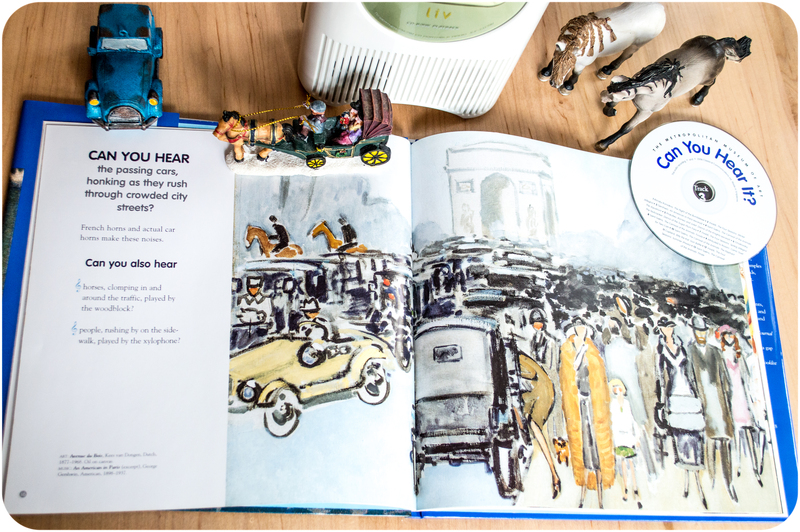 There is no better way to introduce both: music and art appreciation to your child! The book comes with a CD featuring 13 short works and an introduction to the orchestra and musical instruments. In association with The Metropolitan Museum of Art, this book introduces famous classical music through great works of art. Selections of classical music correspond with themes and images from the Metropolitan Museum's masterpieces. From “The Flight of the Bumblee” to “The Four Seasons” to the “Night on Bald Mountain,” a child is encouraged to actively listen for certain instruments. 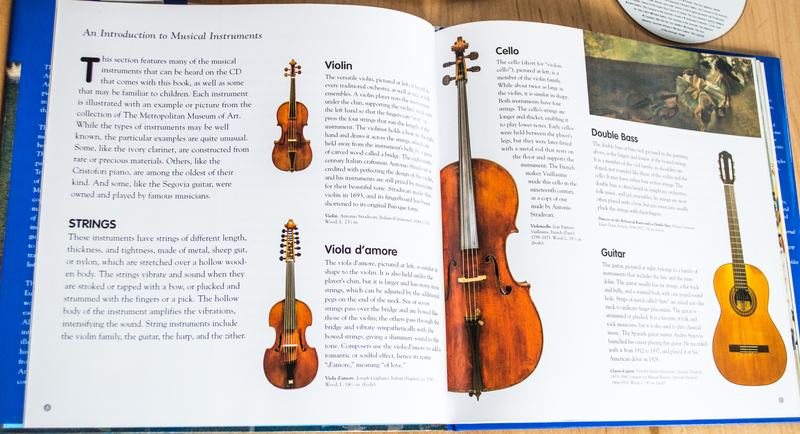 For each pairing, the book suggests what to find in the art and what to listen to in the music, making strong connections between the sounds of instruments and the mental images they evoke. "Can you hear the car horns honking, played by clarinets? Can you hear the horses’ hooves, played by castanets?"